This could ruin a lot of good science fiction movies … and create interesting plots for the next generation of them, not to mention influencing how humans deal with space aliens when they first encounter each other (assuming they haven’t already). 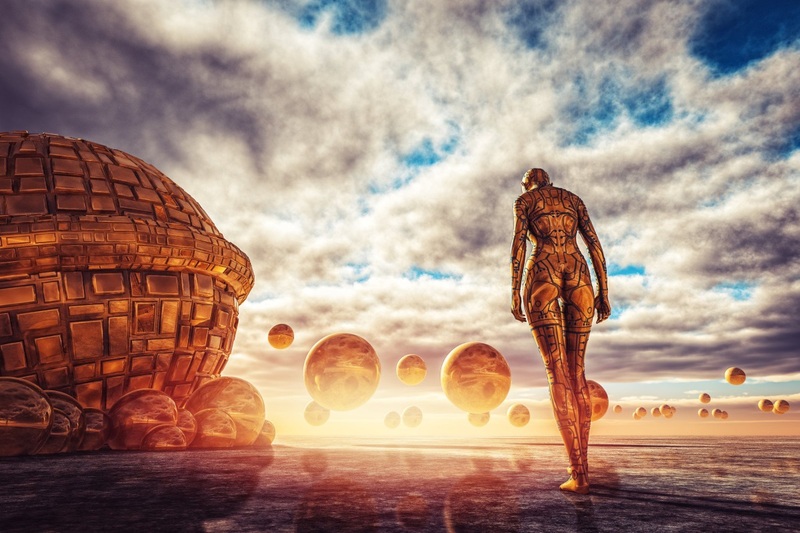 A timely article by The Daily Galaxy reviews the study “Alien Minds” by Susan Schneider where the professor and author discusses her theory that our first meeting with an extraterrestrial will be with a billion-year-old robot. Wait, what? Schneider’s theory is based on three components or “observations.” In her “short window observation,” she presents the idea that a civilization or species that can conquer long-distance space travel is already very close to moving from biological to artificially-intelligent beings. An example of this “short window” is the relatively brief 120 years it took humans to go from the first radio signals to cell phones. Some of those species will be much older than us, which is Schneider’s “the greater age of alien civilizations” observation – one accepted by many. And not just a few generations older but billions of years beyond us, making them far more advanced and intelligent. How much more? Schneider’s last observation is that any species that can travel to Earth will be intelligent enough to develop robots that they can upload their brains to. The robots would probably be silicon-based for speed of ‘thinking’ and durability, making them nearly immortal. That’s a relief … I guess. However, she leans to the side of caution when the discussion turns to sending signals into space to proactively contact any life forms listening. For instance, Google’s Ray Kurzweil has predicted that man will merge with machine here on Earth in the year 2050. The upshot of this is that it’s far, far more likely that we’ll meet aliens after they’ve turned into machines, according to experts.